Mere hours before the opening of the perilous king crab fishing season, Danny, a young Newfoundlander arrives in Alaska, desperate for a job. A local fisherman, Cal, grudgingly agrees to help him out, but past & present collide when Lizzie, a feisty young woman, shows up. A modern fable steeped in maritime lore, The Out Vigil by Julie McIsaac questions our ability to accept the natural world for all that it is, both beautiful and terrifying. With live music throughout the performance The Out Vigil takes on a bold new form of poetic naturalism that allows for a harmonious marriage of elements – fact and folklore, music and magic, the modern and the mythical. 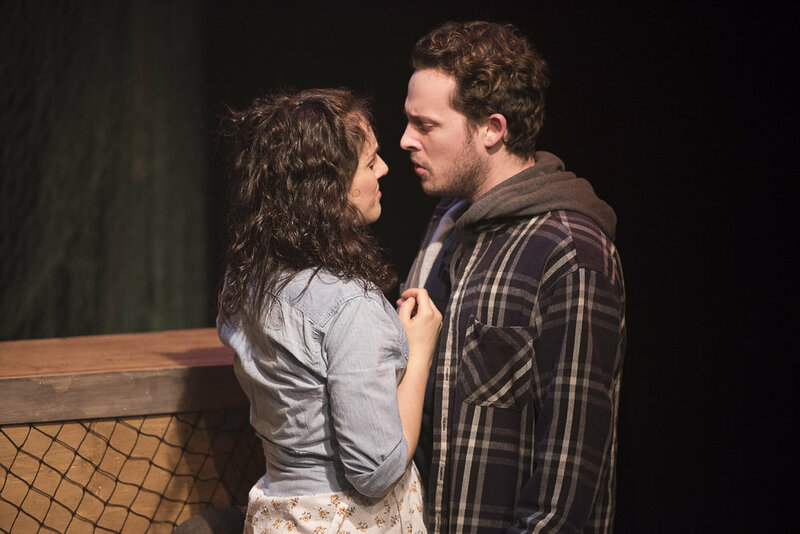 Presented by the Firehall Arts Centre, the World Premiere of The Out Vigil appeared on stage from March 16 – 26, 2016 featuring Matthew MacDonald-Bain, Stephanie Izsak, Zac Scott, Christina Cuglietta & Alison Jenkins. Directed by Sabrina Evertt.